Here at Treyone, we’re celebrating a big win at the recent NEFF MasterPartner® Excellence Awards. 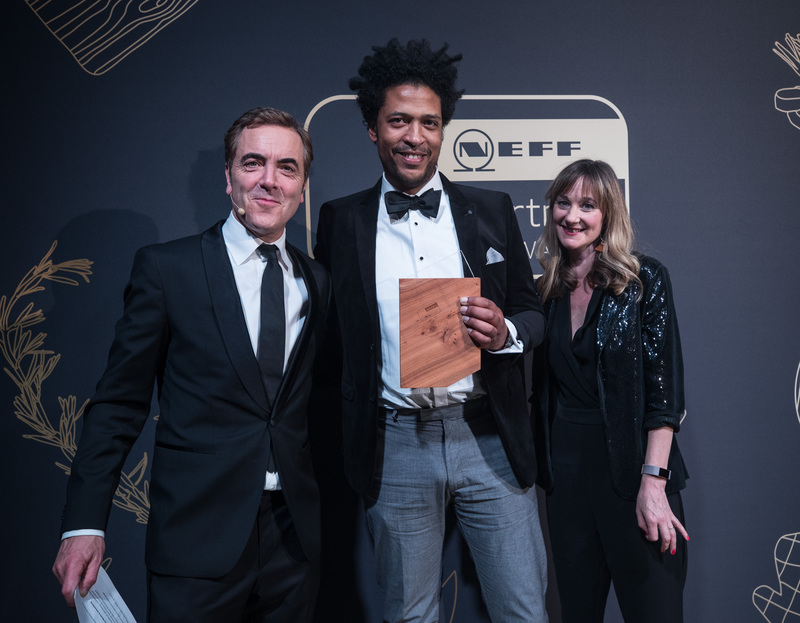 An annual black tie event, the awards celebrate the very best NEFF showrooms and kitchen designers in the UK and this year Treyone won the “Best Use of a Small Space” Award on 19th May. Project designer, Stewart MacPherson who is based in our Kingsbridge showroom picked up the award from host, James Nesbitt OBE, at a ceremony held at The Brewery in the heart of the City of London. 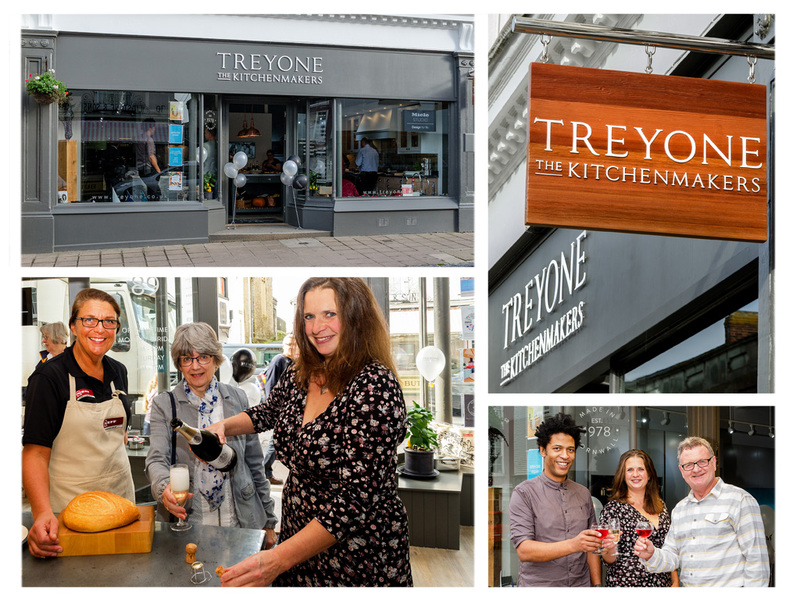 Over 140 entries were competing in the eight award categories and Treyone chose to enter the “Small Space” category to prove that bespoke kitchen joinery is not just about big schemes, large spaces and deep pockets. Competing was an opportunity to showcase our versatility and mastery at providing outstanding design solutions whatever the brief. Treyone’s award-winning design was for a kitchen that blended seamlessly into the living space of the client, Jon and Kirsty Cooper’s, newly refurbished holiday retreat. Two ovens, a dishwasher, fridge freezer, warming drawer, induction hob, extractor, sink, tap and ample storage were nestled into a 3m x 3m space while affording an uninterrupted view across the room to the TV screen and accommodating a boiler within the tall housing. Stewart liaised closely with the couple’s interior designer to ensure the kitchen and living space worked as a whole. The two-toned solid, textured ash shaker kitchen furniture picked up on colours repeated throughout the room while the smoked mirror splashback helped create the illusion of a bigger space. Attention to detail saw the solid oak island worktop tinted to dampen any orange hues that would not have worked with the rest of the colour scheme. 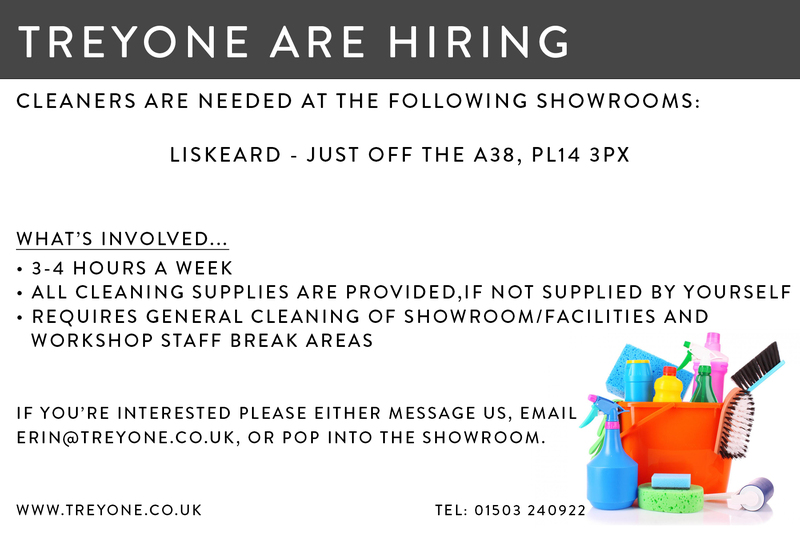 Treyone are pleased to be attending the Liskeard Show for another year. 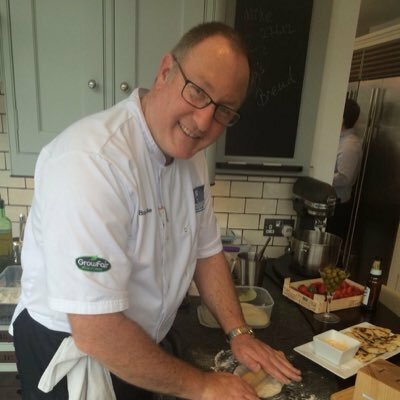 We shall be providing the chef demonstration area in the Cornish Food Marquee for Chef Bruce to showcase his skills. Award-winning South African chef Bruce Cole, currently based at Sub-Zero Group, will be introducing you to a variety of different cuisines, creating mouth-watering food for you to try. Formally trained in South Africa under Walter Uls, in one of South Africa’s longest standing restaurants, Linger Longer, Bruce is passionate about sourcing local produce. We cannot wait to see you all there on the 9th July! Dulux have announced their new colour for 2016...Cherished Gold. A prediction that the metallic theme that has trended for the last few years is not going away any time soon. With last years colour Copper Blush a successful forecast, will the gold and yellow hue be successful too? With its ability to mix with fresh pastels, jewel tones and the darker end of the palette, Cherished Gold has the flexibility to work in a lot of spaces. A warmer hue, a bright happy note or a added touch of glamour, it can offer a lot to a space if used well. Gone are the copper accessories, gold will now be appearing in all of the shops in the forthcoming months and we at Treyone are a fan! Those that have walked up Kingsbridge Fore Street recently will know that our showroom has gone through a few changes over the past year. Last month we were finally able to celebrate its transformation with a launch party. Welcome to the new and improved 89 Fore Street. For many years we have had a small shop in this lovely early 19th century building and we jumped at the opportunity to double our size and reinstate the shop to its full original double-fronted glory. It has been a long process which made the Grand Opening all the sweeter. Miele, Aga and Neff supported us on the day by making some scrumptious treats on our in house appliances. From fresh soup to bread to cookies, everything was delicious. With displays ranging from the traditional to the contemporary, the new Kingsbridge showroom offers a style to suit everyone. Walk in with an idea, walk out inspired. The new Neff products have been 'inspired by the most exacting demands' of cooking. Neff’s range has now been split into two collections: Premium and Classic. The Classic collection comprises of a small range of the stunning single ovens, double ovens and microwaves we all know and love. The Premium collection is absolutely brand new and comes packed full of new features housed in a stylish black glass finish with touch control TFT display. Below we check out all the new features that these stylish appliances now offer. Aqua Assist has been superseded by the new and improved Vario Steam. 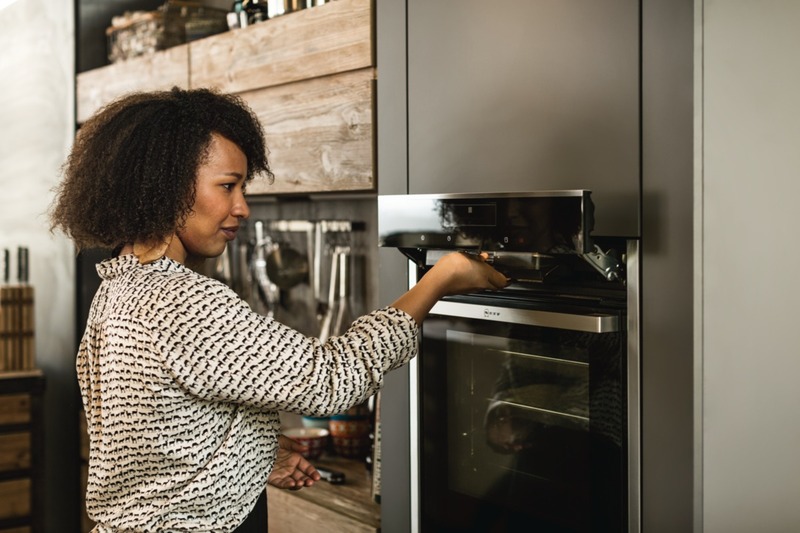 Vario Steam gives dishes just the right amount of moisture by adding steam at three intensity levels for baking, roasting or just heating. Foods come out with a more intense flavour and an appetising appearance. 100% steam is now available in a full size single oven due to a brand new enamelled cavity. Unlike VarioSteam, the evaporator is located outside of the oven cavity which means it is pure steam only that is injected into the cavity. Full steam and VarioSteam also includes an automatic drying function which means that you no longer have to wipe out and dry the cavity manually. These new products are available to order through us now and you will be able to check them out first hand in all of our showrooms soon.